… you have mushrooms in the salad table. I’m sorry, but – mushrooms. In my salad table. At least they’re small. No, I am not going to put them in my salad. 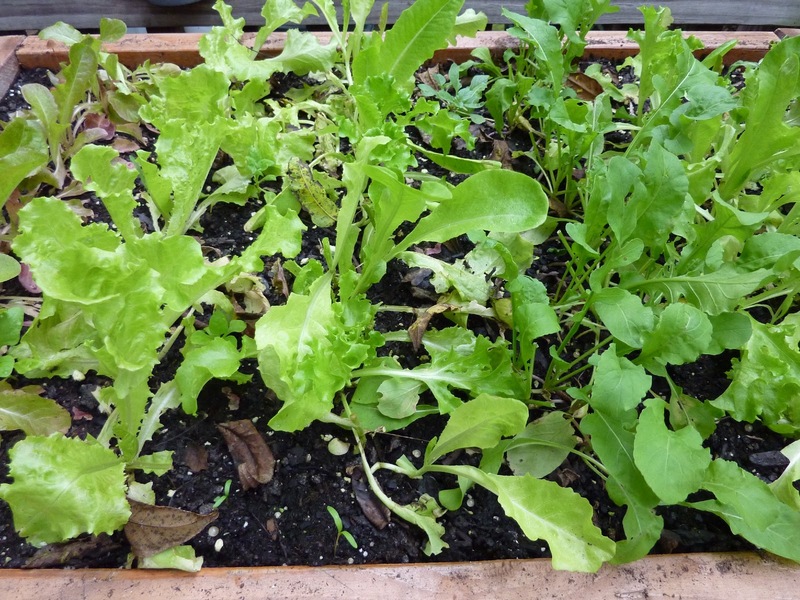 Aside from that, the fall salad table is doing nicely with a successful crop of lettuce and arugula. I could wish (as could many of you, I’m sure) that the year’s rainfall had evened itself out a little, but at least what’s still alive is growing, and we’ve been made aware of any drainage issues we might need to deal with. Every cloud has a lining that’s all shiny with knowledge and learning, hm? 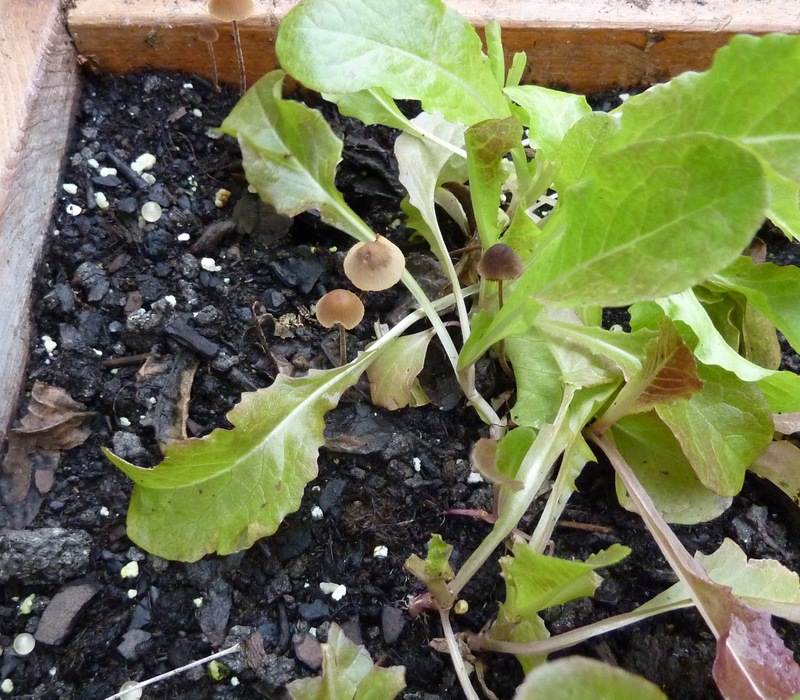 Well, a squirrel found my second crop in the salad table and ate all the lettuce and radishes. I've had enough for this year, harvesting endless cherry tomatoes and then done. John will pass on the plan for the salad table cover! It's what's saved my crops from squirrels.